David originally played the part of The Artillery Man in Jeff Wayne’s musical version of HG Wells The War Of The Worlds with Richard Burton. Since its inception in 1978, Jeff Wayne’s original double album has become one of the most groundbreaking and best-selling musical works of all time – with over 15 million copies sold and 330 weeks in the UK Album Charts to date, a number one album in 11 countries, two international hit singles, a number-one music DVD, 8 years of worldwide arena tours, and huge critical acclaim across the globe (and probably the universe!). 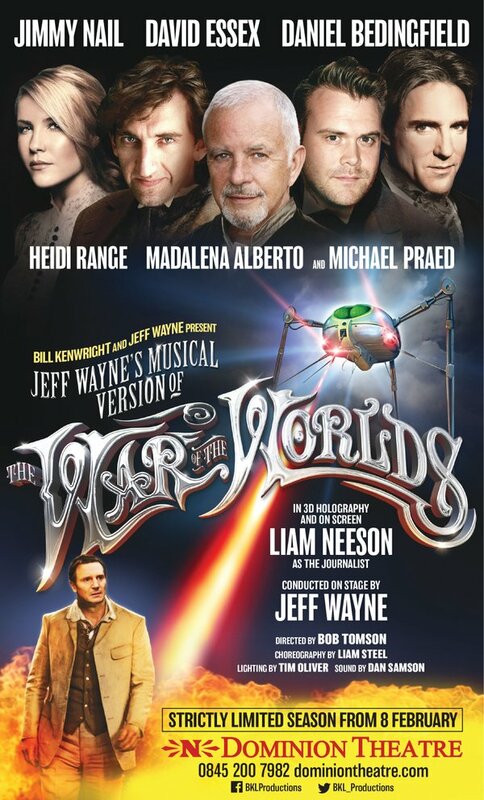 Reimagined and brought to spectacular theatrical life for its world stage premiere, this breathtaking new production of Jeff Wayne’s Musical Version of The War of The Worlds, produced by Bill Kenwright, will preview at the Dominion Theatre from Monday 8 February 2016 with an opening night gala performance on Wednesday 17 February at 7pm.